Reflection can provide a valuable learning experience for individuals and teams. Simon Sinek identifies its value in this short clip. 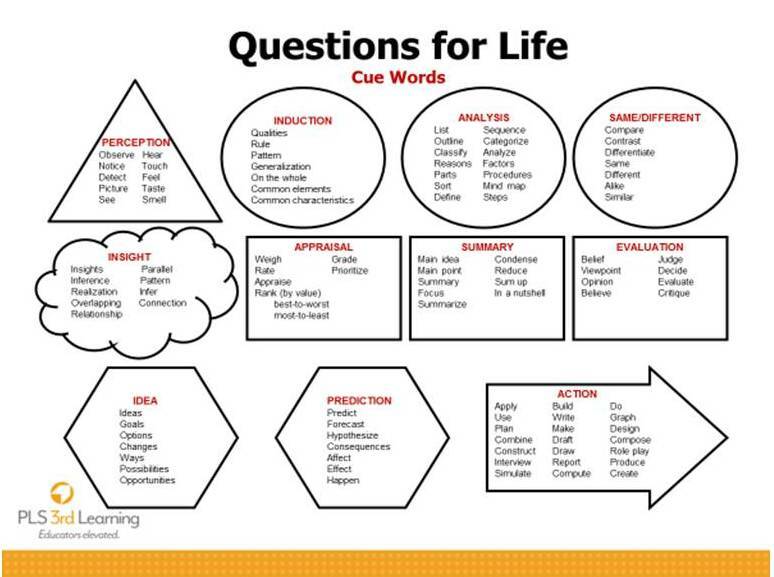 In each case I focused these leaders on using Questions for Life to plan questions that support reflective thinking. Like the facilitation that classroom teachers would provide students to support reflection that produces insights and learning, education leaders should create environments and guiding questions that increase educators’ learning from reflection. 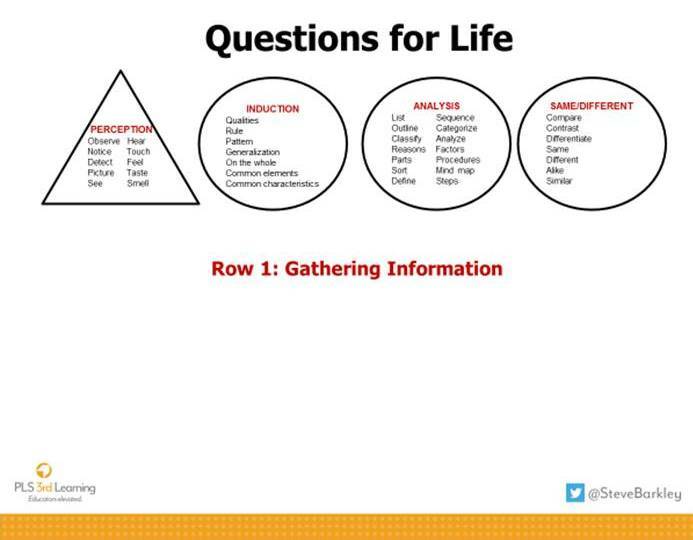 Using the Questions for Life structure, consider questions from row one for gathering information, row two for making meaning from information and row three for taking action, when desired. Too often students are given a reflection task with minimal scaffolding or time to deeply reflect and draw new meaning (learning) from the experience. Students then dismiss the reflection as a requirement and look to comply with as little work (thinking) as acceptable. I believe the same thing happens to teachers in their experiences with evaluators, supervisors and even too often with coaches. My suggested strategy is to plan backwards from my key reflection question. I generally think of my reflection question as an evaluation question from QFL, at the end of row two. I decide first what my evaluation question will be, then decide what row one and two questions I will use to engage the critical thinking that leads to the reflection/evaluation question. 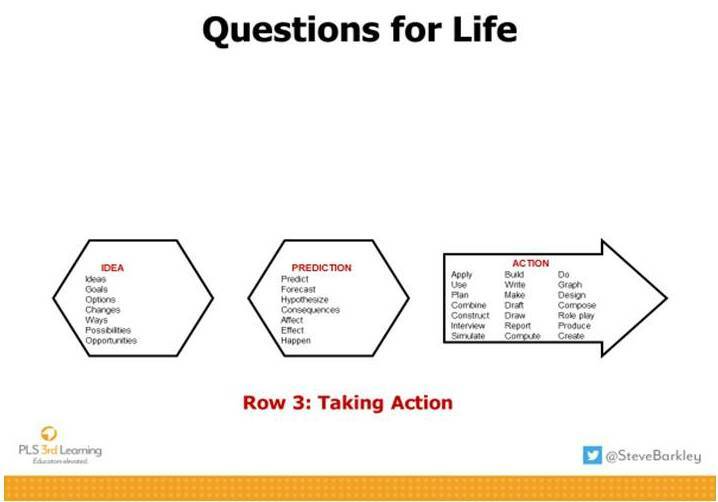 That then sets the stage to proceed to generating ideas, predictions, and actions from row three. In what areas did you find your leadership skills this year to be effective in guiding staff, students, parents, and/or community to take positive steps for growth? Where were you successful in managing existing programs and projects? Where did your management and/or leaderships skills get challenged in reaching your desired outcomes? What were some questions you didn’t know the answers to? At this point, I’d ask my planned reflection question: “What area(s) of skill or knowledge do you believe should be the focus of your personal professional development for next year?” With an area identified, the conversation would go to row three to develop a plan and actions. Reflection Question: What is your assessment of our implementation effort and progress to date? What steps has each member of the team taken thus far into the year? What did you see and hear in student responses to those steps? What indicators encourage you to proceed with the plan? 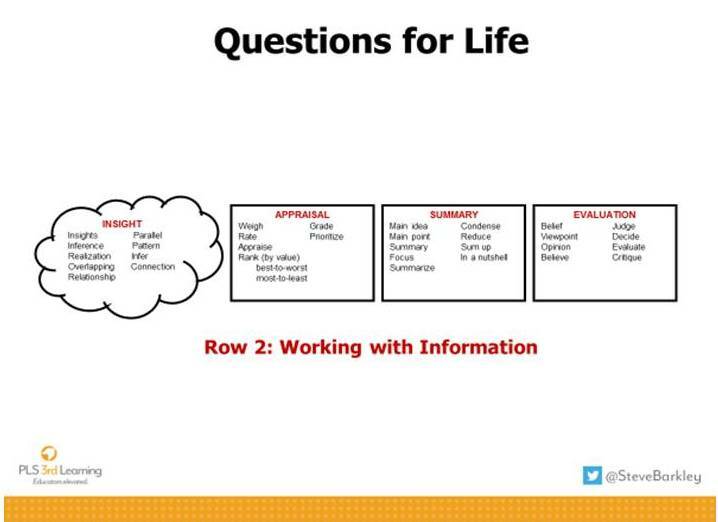 What indicators cause you to consider examining a different direction? Now my reflection question: “What is your assessment of our implementation effort and progress to date?” If the team differs in their views, back to row one seeking clarity and consensus. With consensus, on to row three. Reflection Question: Do you believe that investing in greater differentiation of learning opportunities would provide sufficient increases in student learning? How committed are you to that investment? Looking at the outcome of your last unit assessment, which students’ learning results were low and you expected them to be? Are there any that were low and you were surprised? How are these two groups similar and different from each other? How do they compare to the rest of the class? What do you think the students who mastered this unit did and experienced that produced their learning? Was their success connected to a skill or knowledge they had at the beginning of the unit that the unsuccessful students didn’t have? What do you think the unsuccessful students need to do or experience to increase their learning success? Now I’d use my reflection question: “Do you believe that investing in greater differentiation of learning opportunities would provide sufficient increases in student learning? How committed are you to that investment?” With a positive response, I’d go to row three to plan for ways to make it happen? If I didn’t get a positive response it would mean back to row one. I believe I would have known in advance that the teacher wasn’t ready for the reflection question by the earlier responses. Consider planning some scaffolding questions for an upcoming reflection task you will give to a group or individual. If you forward them to me, I’d be happy to respond.